“It is a shame that BJP is using central agencies against opposition leaders and parties to harass them. Yesterday the Income Tax (department) without any reason raided Kanimozhi’s house. Just because DMK and its leader MK Stalin are opposed to Narendra Modi and BJP, they (DMK leaders) are being unnecessarily harassed,” PTI quoted Mamata as saying. Two days ahead of the second phase of Lok Sabha election, I-T officials raided Kanimozhi’s Tuticorin residence, from where she is contesting. BJP has named Tamilisai Soundararajan as their candidate from Tuticorin. “For us, a leader is such a person who is loved and respected by people from various sections of the society. 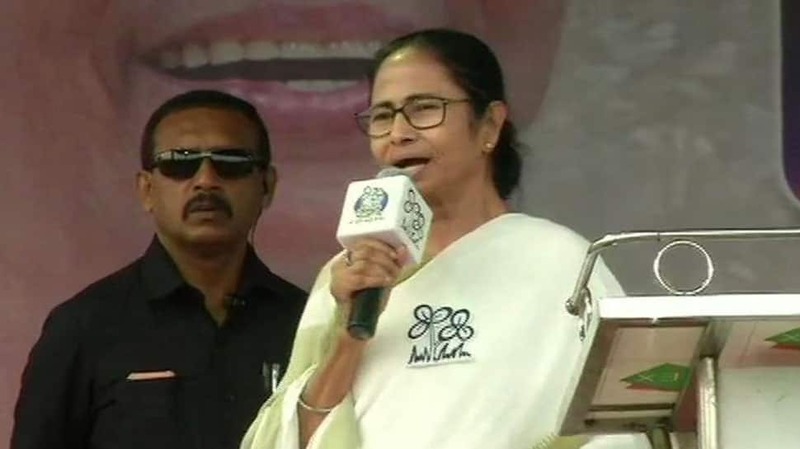 But for the first time since Independence, we have a leader like the prime minister who is ruling the country by a reign of fear,” Mamata added. “Over the last five years, every government agency has been exploited. They’ve become a part of BJP. CBI, ED, RBI IT, EC all have been compromised. Only opposition leaders have been targeted repeatedly,” Kanimozhi added. After the raids, I-T sources said that nothing suspicious was found at Kanimozhi’s residence. Polling to all 39 seats in Tamil Nadu will be held on April 18 in the second phase of the Lok Sabha election.